​​Welcome to Prahran Rhythmic Gymnastics Specialist Centre. 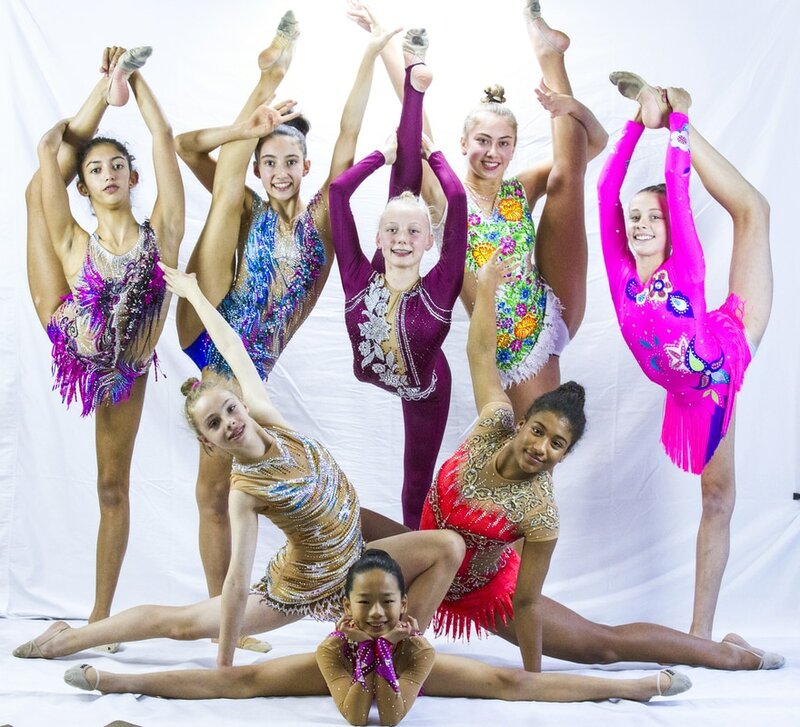 We provide high performance International specialist pathways, Levels Rhythmic Gymnastics and Recreational Rhythmic Gymnastics training for all ages. We aim to provide a fun healthy program for girls of all ages and abilities in a safe and supportive environment. Gymnasts at all levels can chose to compete in local and interstate competitions, perform in club events and be a part of our fun themed Christmas displays every year. We are the home of the 2018 National Senior International Champion, the 2018 National Sub Junior Champion, 2018 Commonwealth Games medalist and 2018 Senior International World Championships competitors. for all levels, ages and abilities. We offer free trial lessons on Saturdays. Congratulations Prahran Rhythmic Gymnastics Specialist Centre! Your club is a finalist in the 2019 Sportscover Clubbies Awards – Best Club category. Friends and families of Prahran RG please click on the link HERE and fill in your details to submit your vote for us, voting closes March 28 2019. We would like to invite entries for our annual Prahran Rhythmic Gymnastics Invitational competition 2019. Our competition is open to individual routines for stages 1 and 2, Levels 7-10, Sub Junior, Pre Junior, Junior and Senior level gymnasts. Sub-Junior, Junior and Senior International group routines, Gala performances are welcome too!